adidas Football this week revealed the away kits which will be worn by adidas federations as they seek to win the 2018 FIFA World Cup RussiaTM. 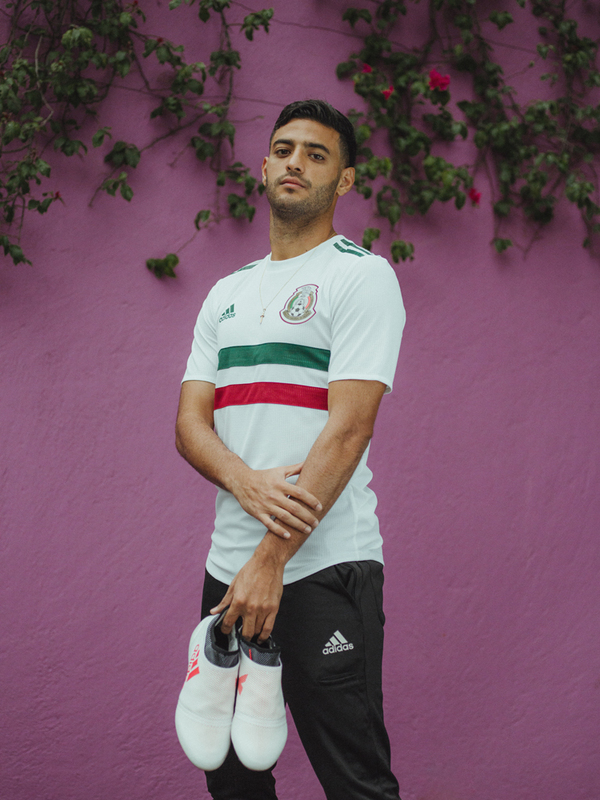 With the adidas Football mantra of authenticity to progression at the heart of each design, the kits have been inspired by kits of the past or iconic landmarks while featuring the latest adidas product innovations. 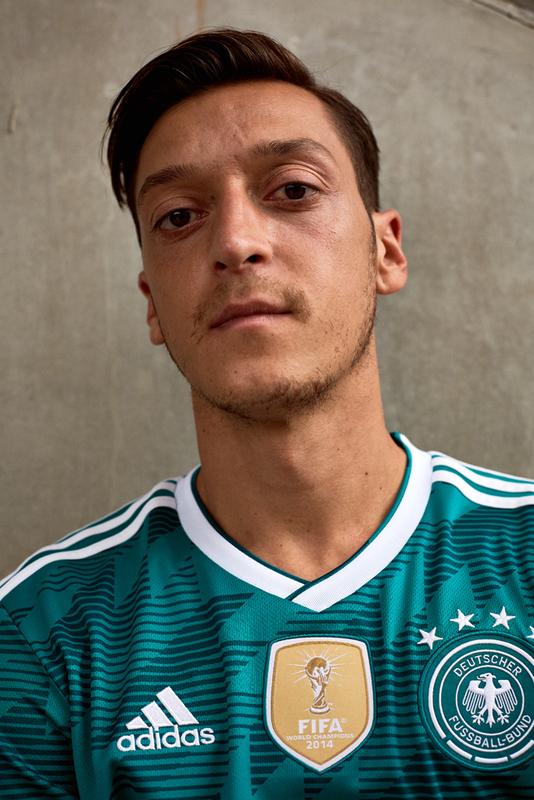 The away kit for the current FIFA World Cup holders Germany is a modern interpretation of the famous green 1990 World Cup away jersey worn in the semi-final vs England. 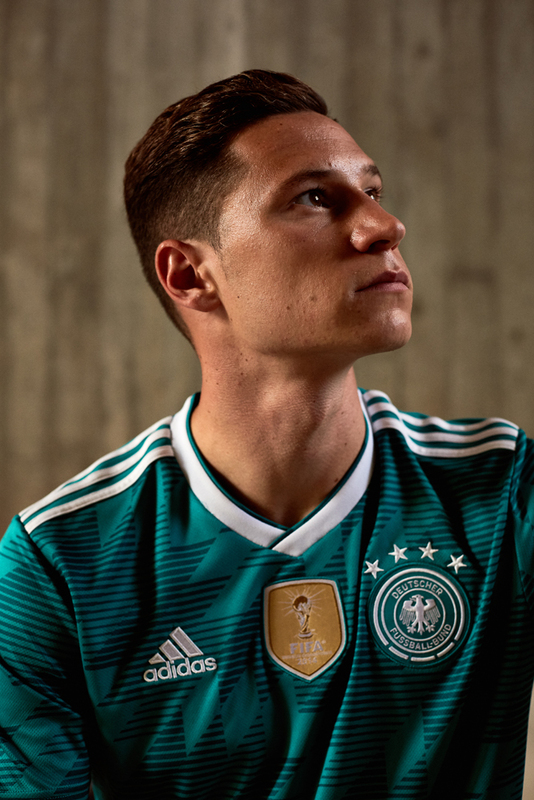 The graphic on the front takes inspiration from the pattern on the Germany home kit while a new collar execution with a two-fabric component construction incorporates the shirt’s graphic, along with the official "DIE MANNSCHAFT" wording on the back. Host nation Russia’s away kit is a celebration of the country’s street football scene and is a combination of two key elements. The white jersey features a unique grey graphic depicting an abstract vision of Russian architecture and pays homage to the architectural landmarks and industrial cities of the country. The Argentina away kit will see the team take to the pitch in black for the first time in the AFA’s history. 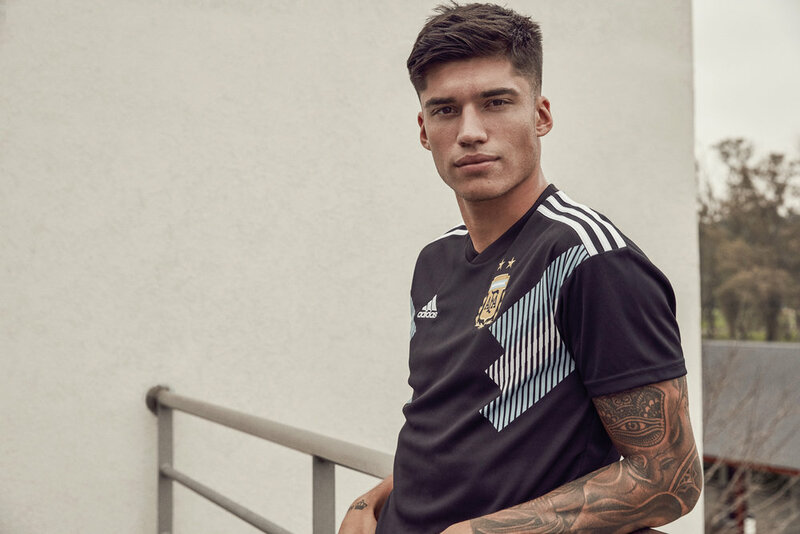 The jersey is a reinterpretation of previous adidas Argentina away jerseys, brought up to date with the inclusion of a bold and progressive graphic inspired by the colours of the nation’s flag. The Spain away shirt features a new and unique colour combination. The light blue kit includes subtle shades of blue in a graphic inspired by the pattern seen on adidas jersey’s of the late 1980s alongside, sleeve cuffs and three stripes in bright red. The kit features a two-coloured crest to complete a fresh new colour concept. Colombia’s striking blue away jersey features a bold graphic inspired by traditional scarf patterns worn by Colombians for special occasions. It includes bright orange accents in the form of the three stripes, adidas logo and trimming on the collar. A sign-off on the collar with the team’s slogan, “Unidos Por Un Pais” - translating to “United as one Nation” - completes the jersey. 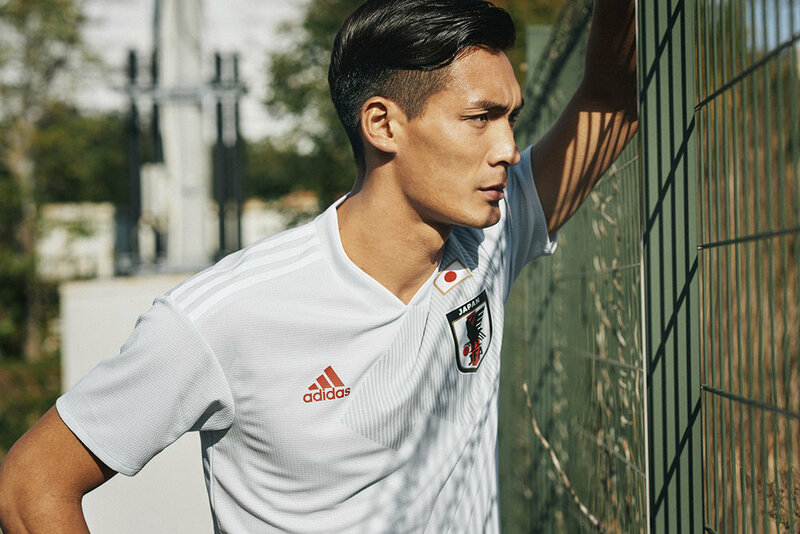 The Japan shirt takes inspiration from the nation’s streetwear scene and is the perfect transition from the stadium to the street for fans of the JFA. 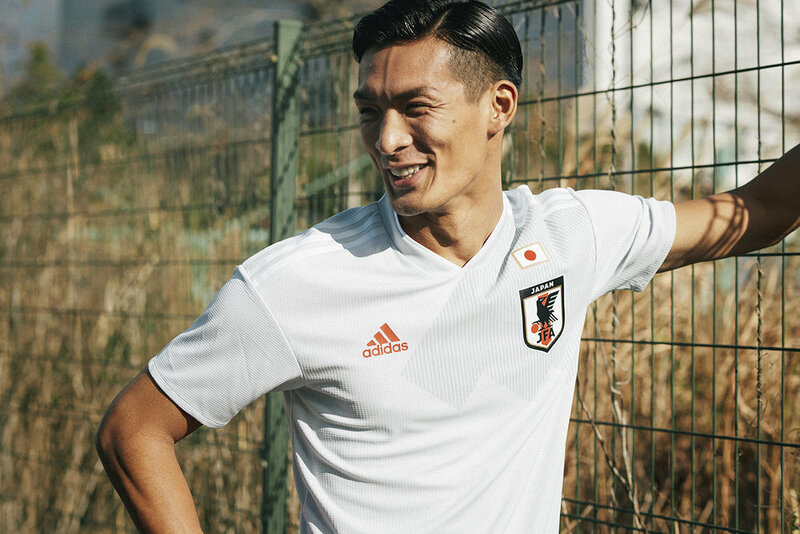 A modern interpretation of the 1991 home jersey, the kit features a bold graphic and a sign-off on the collar which celebrates important moments of the nation’s football history. 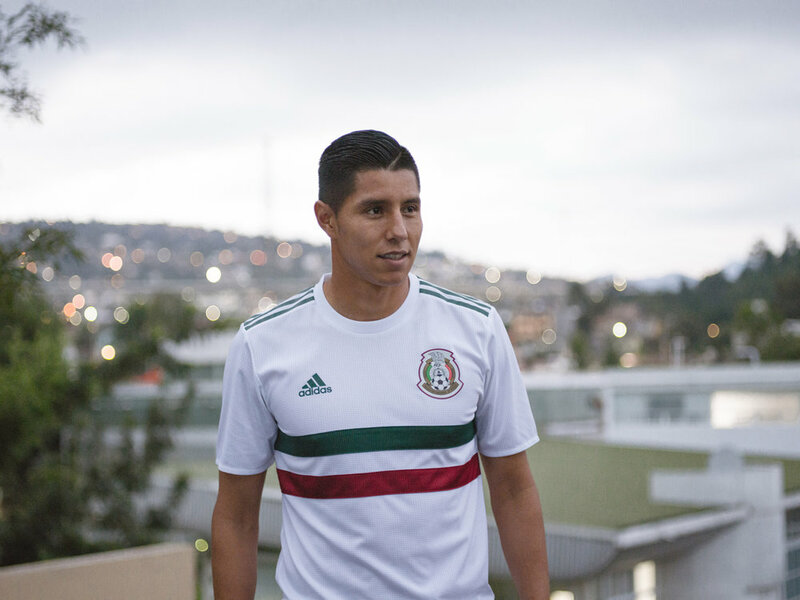 The away jersey for Mexico is a simple and sleek design. It takes inspiration from the nation’s flag colours, with a bold red and green stripe running across the chest. A sign-off on the collar features the slogan “Soy Mexico”, translating to “I Am Mexico”. 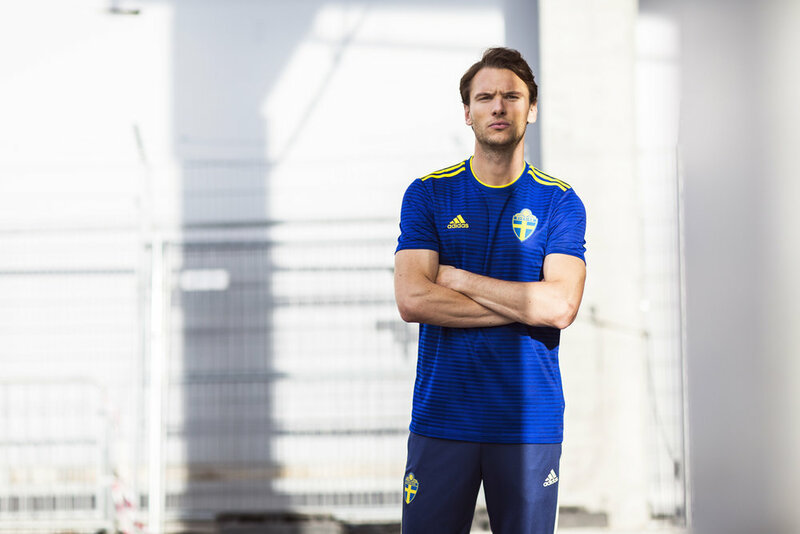 In contrast, the Sweden away jersey is a progressive shirt oozing with style through the rich detailing within the fabric. The jersey features a graphic design with light and dark shades of navy blue, alongside yellow trimmings seen on the collar and adidas three stripes. 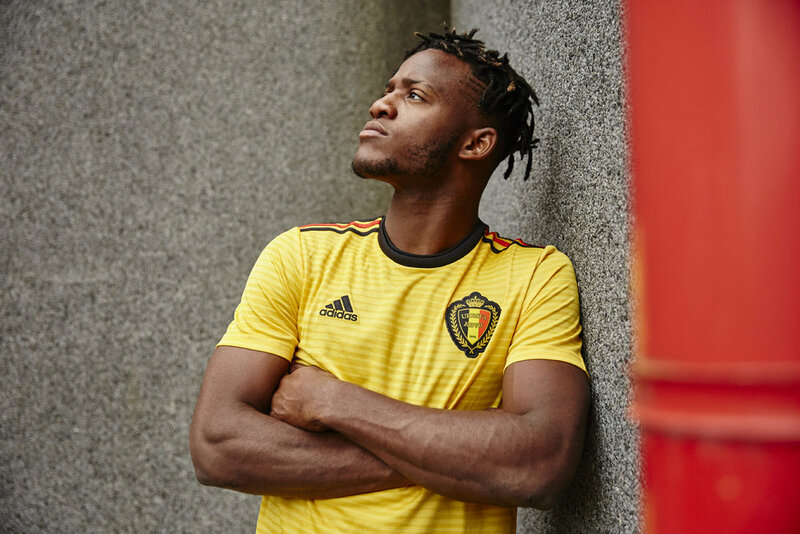 Belgium’s away kit is a true representation of the country’s flag colours. The bold yellow jersey features subtle horizontal lines alongside red and black accents seen on the collar and the adidas three stripes. All away jerseys are available to purchase to purchase at www.adidas.com/football.